Retail is undergoing a massive disruption and revolutionary change, which just might be the understatement of the year. Many old rules no longer apply, while new concepts are being rolled out—all in an effort to service and entice consumers to shop somewhere other than on Amazon, basically. The fact is, with the mega-retailer’s ability to offer almost anything and everything at any time and (likely) at the lowest price with quickest delivery, if the competition doesn’t come up with alternative ways to shop (think curation, experiential and human contact), what’s left to fight over, really? That’s why pop-up shops have become all the rage of late. They are fresh, timely and pop up in unexpected places. There’s also the added incentive for shoppers to pop in, because it’s unique, entertaining and, likely, offers a limited edition or exclusive selection of merchandise. Of course, this concept is effective for those who actually still get off their sofas to shop. What about the growing horde of hermit shoppers—what’s the best way to entice them to shop differently? Such services, in fact, have caught on like wildfire, running the gamut of niche categories like beauty gurus (think Birchbox) and pet lovers to fitness buffs and beer lovers to busy moms. A current guesstimate: there are now an estimated 2,000 subscription box services for consumers to choose from—one of which is Amazon’s Prime Wardrobe that’s currently in beta testing. The service, available to Prime members at no charge, allows customers to try on clothes and shoes before they buy them and return any items they don’t like—for free. If the world’s biggest retailer is testing the subscription box service concept (Macy’s and Walmart are reportedly working on versions, too), it’s pretty safe to say the concept has arrived. “Amazon entrance into the channel absolutely establishes the fact that subscription businesses are here to stay,” says Karen Li, from the marketing team of Cratejoy, a platform that allows entrepreneurs to create subscription box businesses from scratch. According to a 2016 study from Hitwise, visits to subscription box service sites in the U.S. have increased by nearly 3,000 percent in the last three years, with more than half the visits coming from mobile devices. Bob Phibbs, the New York-based Retail Doctor, says subscription box services is the biggest trend of 2017, noting that the days when it was an occasion to browse the racks at the mall all afternoon with friends are long gone. Of course, the concept itself is nothing new. Subscription box services have long been in existence. (Remember when Clark Griswold was gifted a Jelly-of-the-Month club membership for Christmas by his stingy boss in Vacation?) But the concept has come a long way from cheesy novelty items, with Birchbox largely to thank for bringing it into 21st century coolness. Since its debut in 2010, the company rocketed from 20 brand partners and 1,200 subscribers to more than 800 partners and 1 million-plus subscribers. Co-founder Katia Beauchamp says offering four to five personalized beauty samples each month for a $10 fee gives subscribers a taste of a new brand or product, which often leads them to buy more of what they like through its website, brand websites and stores. Call it a win-win-win. Building a level of trust through good recommendations also increases customer loyalty, experts say. Birchbox is particularly adept at this skill: after getting a taste of a new beauty brand, 50 percent of its subscribers go on to purchase full-size versions through its website, according to Beauchamp. 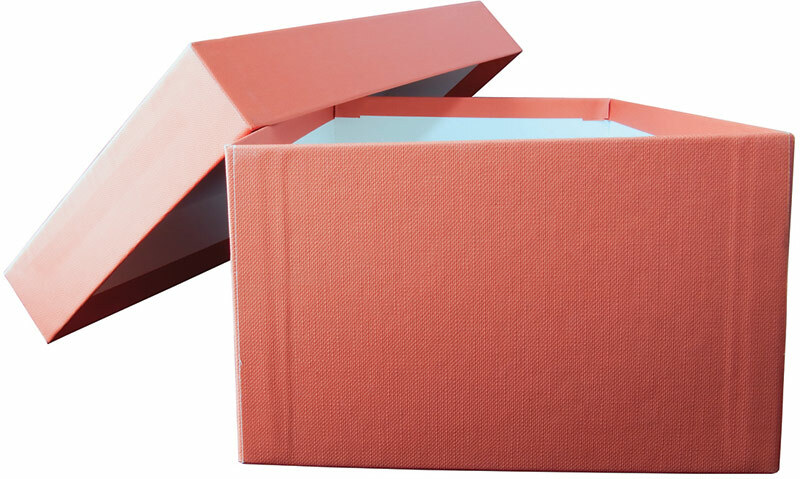 As for the possibilities subscription box services present to the footwear industry, many experts believe there}s potential as well as inherited risks—namely a high rate of returns because of fit issues. Phibbs expresses skepticism about whether a shoe-centric service can be profitable amid the high risks and staunch competition. “People are very specific about their shoe style and fit, and return rates on apparel already sit between 30 and 50 percent,” he says. He cites Nordstrom’s Trunk Club acquisition as an example, which allows subscribers to work with a stylist to curate a monthly box of head-to-toe outfits and send back what they don’t want. Nordstrom purchased the service for $350 million in 2014 and took a $197 million write down two years later. “Zappos lets you buy exactly what you want and return what you don’t for free, so why would I trust a subscription box to deliver something better than that?” Phibbs says. In addition, he notes that male shoppers generally purchase shoes only when they need them, so a monthly or even a seasonal shipment may be too much. Women, of course, are an entirely different breed of shoe shopper. Perhaps it’s why the sister private label subscription box services Shoedazzle and Justfab have been doing well, according to Kira Cohen, director of public relations. She says most members think of the $39.95 monthly charge as a bill, just like rent, leading to the company’s low skip rate. In an attempt to assist shoppers, the sites feature algorithms that offer suggestions, but customers have final say on what goes into a box. On JustFab, if the subscriber doesn’t pick anything for the month, her account is credited and the money can be used at a later date. Or she can opt to skip the month and not get charged at all. Cohen believes its members like recommendations and shopping on their terms as opposed to being assaulted by advertising and upselling in stores and online. “The ads are practically forced down your throat,” she says. “But our customer tells us she wants to choose and doesn’t need it in front of her face all the time.” Cohen reports 30 percent of its VIP subscribers have upgraded to include the personal styling services.